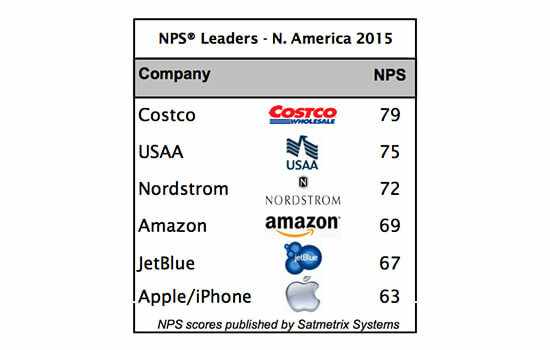 Net Promoter Score measures customer loyalty, satisfaction, and retention. The cost to acquire a new customer can range from 5 to 25 times more expensive than retaining a customer. 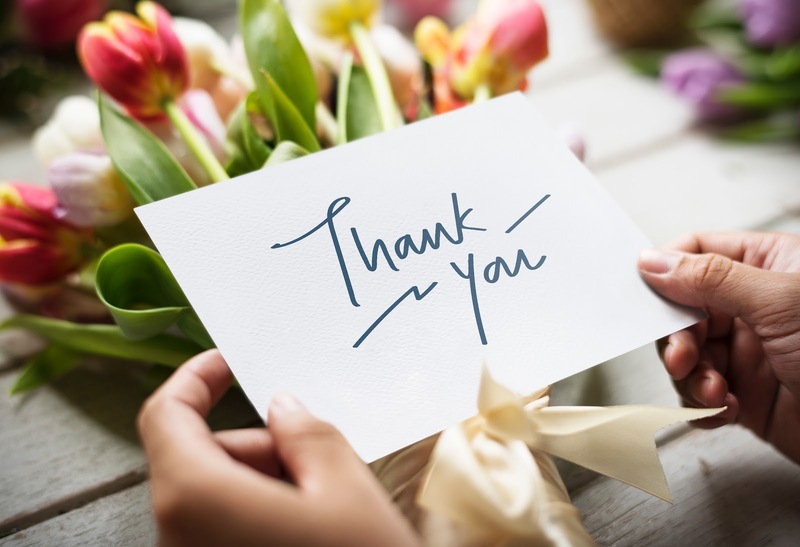 To avoid incurring these extra costs, increasing customer loyalty remains one of the best ways to drive business growth. How can you gauge customer loyalty? 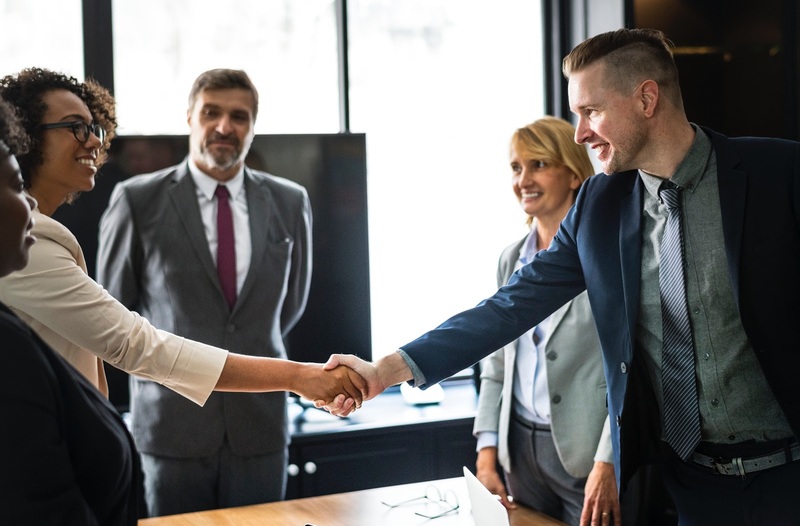 It only takes one simple question: “How likely are you to recommend us to your family, friends, or colleagues?” This question allows you to calculate your Net Promoter Score, the metric used to measure customer loyalty, satisfaction, and retention. First presented in a Harvard Business Review article by Fred Reichheld in 2003, the Net Promoter Score (NPS) is one of the easiest ways to calculate the likelihood that your customers will return to buy more of your products or services; best of all, how likely it is that they will tell their circle of friends about your business, thus adding to your customer base. Detractors: Scores of 1 to 6; Customers who are strongly dissatisfied with your services or products and may even speak out against your company. Passives: Scores of 7 or 8; Customers are satisfied but not motivated to promote your business. Promoters: Scores of 9 or 10; Your most enthusiastic customers who are excited to share your products or services with their network. May be social media influencers. They are also likely to be long-term, repeat customers. 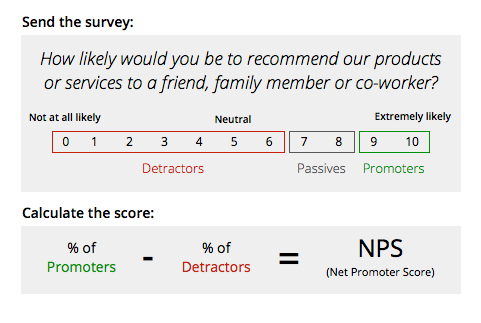 Your NPS is then calculated by subtracting the percent of detractors from the percent of promoters. NPS scores are presented as integers from -100 to 100. Any time your score is positive, that is a good thing, because it means you have more promoters than detractors. However, the best way to analyze your NPS is to compare your score to industry benchmarks or your direct competitors. 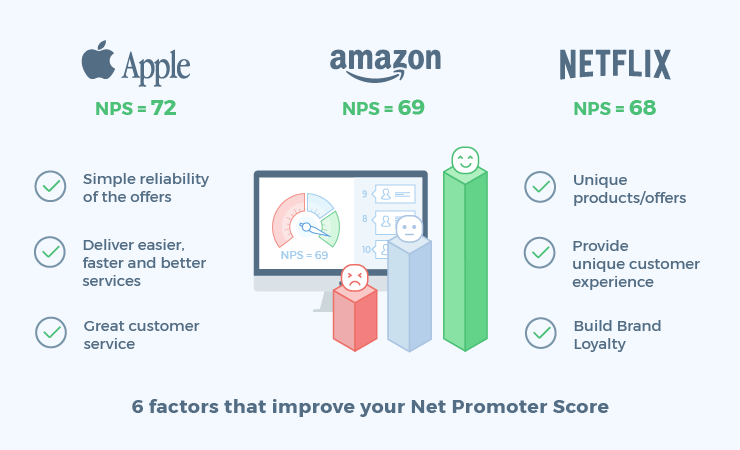 Some industries, like grocery store chains and retailers, tend to have higher Net Promoter Scores, but others, like internet and cable service providers, have lower Net Promoter Scores. The easiest way to improve your NPS is by creating a customer-centric business. It is well worth your time to ask for feedback and listen to what your customers share with you. Great customer service doesn’t happen by chance; it takes effort and motivation to turn problems into solutions. All three of the companies in the image above are known for the excellent customer service. The following are four ways you can improve your customer service, in hopes of improving your loyalty scores. Word-of-mouth marketing is more prevalent in the age of social media. Reviews and experiences—both positive and negative—get blasted across the internet daily. And with your detractors being more likely to spread their negative experiences, it’s important to listen to their feedback and solve problems as quickly as possible. These statistics show the importance of reaching your customers and giving them positive experiences. Not only does it make you a customer-centric company, but it can improve your bottom line. Learn more about how to turn a detractor into a fan here. Nothing turns off a customer more than a slow response times. 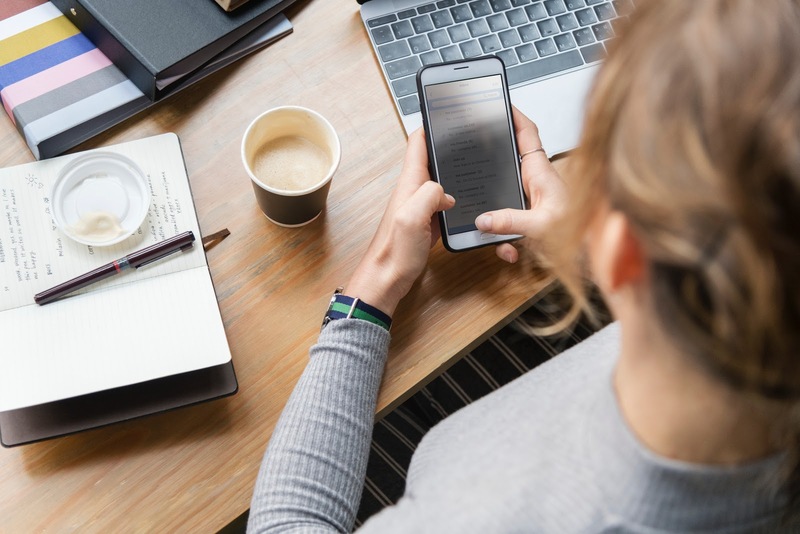 Most consumers report that they expect an email response within 24 hours, although not all companies meet that expectation. StellaService did a survey of top retailers, and while some companies managed to return emails within an hour or two, there was one company that made customers wait an average of 88 hours for a response. 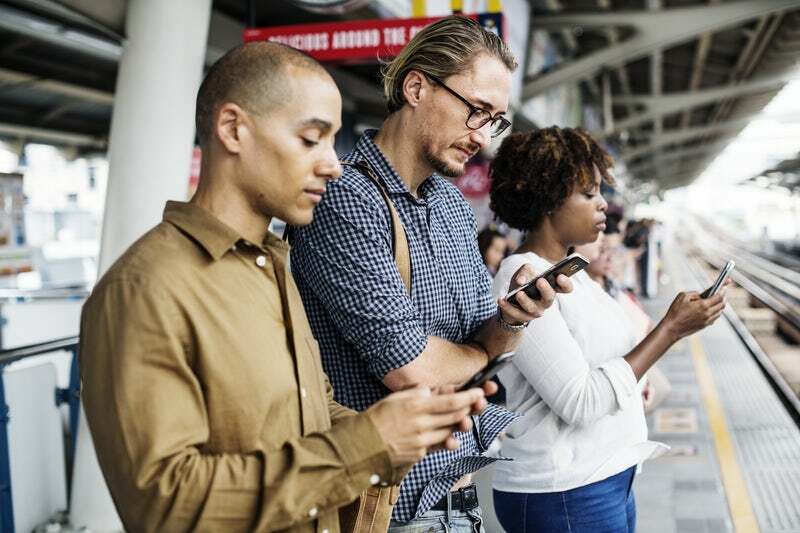 Cloud App can help you reduce customer service response times through annotated screenshots, GIF creation, and screen recording so you can quickly create and share visual content. Create support materials and tutorials. Once you’ve recorded a GIF or HD video, it’s easy to copy and paste anywhere—an email, chat, or ticket. Direct customers to what you need to show them by taking a screenshot and adding text, arrows, or other information. Share visual explanations to prevent miscommunication and follow-up communications. Passive customers are satisfied with your products and services, but not likely to share their experiences. Why? Because you met their expectations, not exceeded. 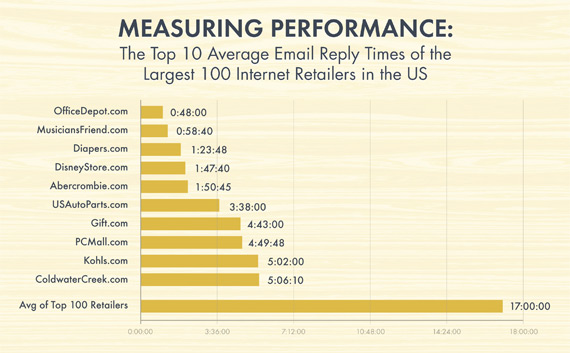 Think about the email response times above. What if you were able to respond to all customer emails within 24 hours, and better yet, you answered with a video response? That builds excitement, which in turn builds customer loyalty and is more likely to make someone share their experience with others—creating a promoter for your business. See how Pete McPherson used CloudApp’s visual communication tools to improve reader engagement and save precious time. Most customer service problems are fixed through long text passages. That can lead to miscommunication, lost time, and frustration. It’s time to start thinking outside the box for solutions that can help beyond long email chains. Capture and share screenshots in addition to your text responses. Annotate images, highlight, and draw on screenshots to clearly demonstrate what customers should do to solve their issue. Create GIFs that walk through a process step-by-step so they can read your directions and see how it’s done simultaneously. Record a quick video with webcam answering their questions. Imagine how many customers you can convert into promoters with your cutting edge way of replying to their problems. For more tips on customer service best practices, click here. Continue monitoring your Net Promoter Score. Pay attention to feedback you get from Customer Service and listen to your customers: What needs do they express? What problems are they having? Remember, a happy customer will most likely spread the word about your products and services—but so will a disgruntled customer. Do your best to turn detractors into promoters by listening to them and following up. Here are 9 essential customer service skills every service representative needs to keep customers happy. Think of creative solutions to solve your customers’ problems. Try using CloudApp’s many tools to help you increase your response times, go above and beyond, and communicate clearly. Think outside the box and your NPS will grow along with your customers’ loyalty.